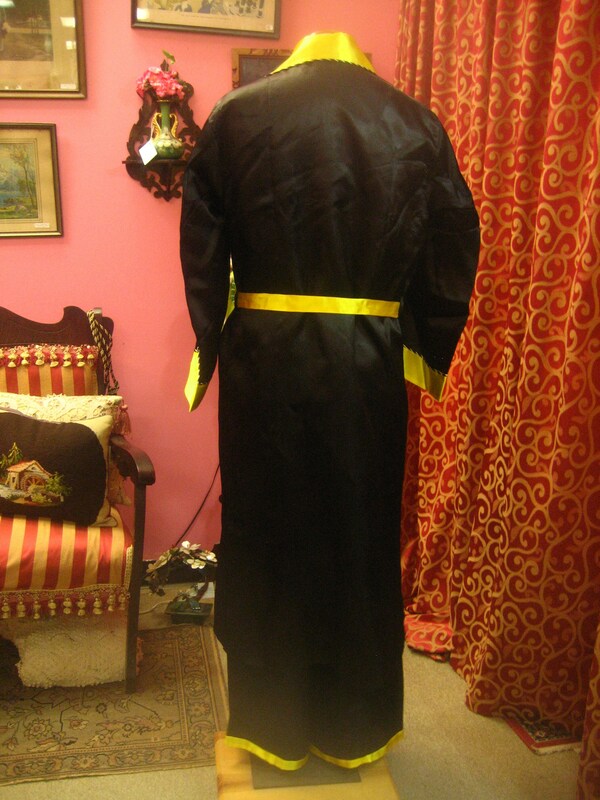 1950's, 38" bust, 3 piece Chinese robe and pajama set. 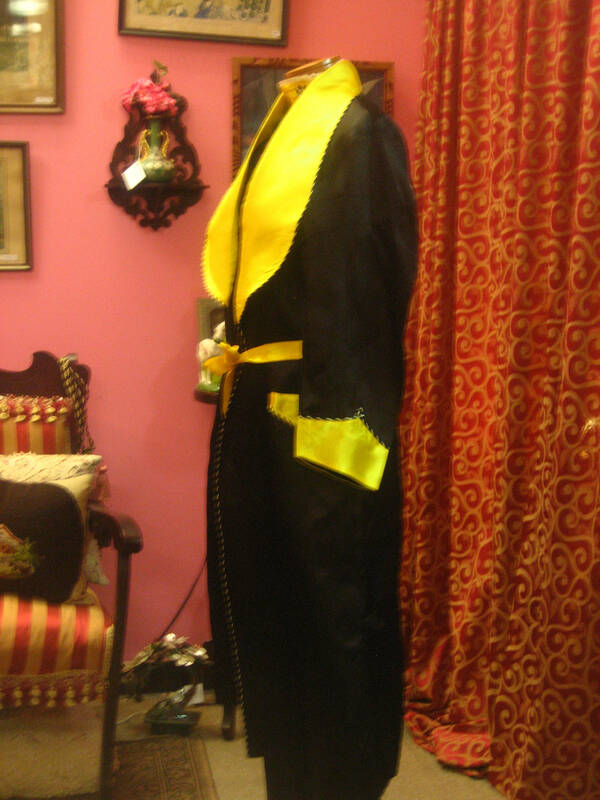 Full length, black rayon satin robe with wide yellow lapels, pocket tops and sash. 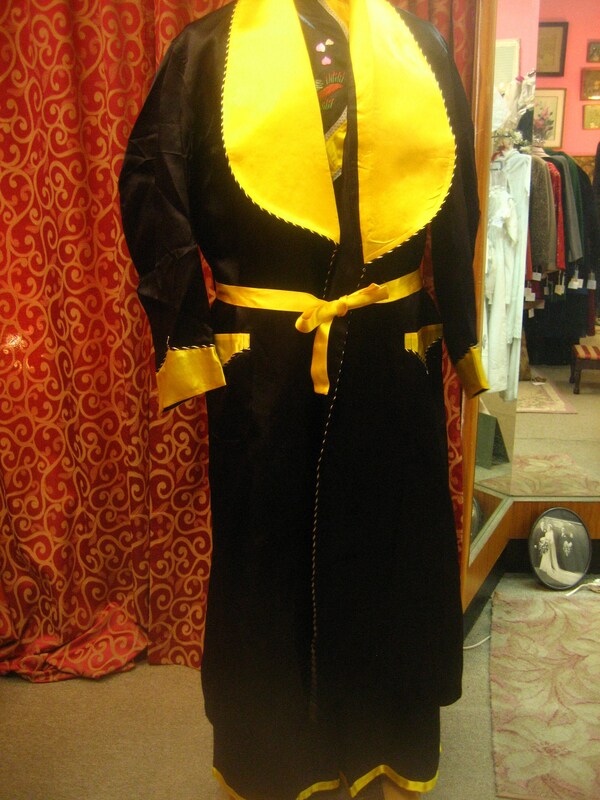 Robe is edged around lapels, open front, and pockets with black and white narrow cord. 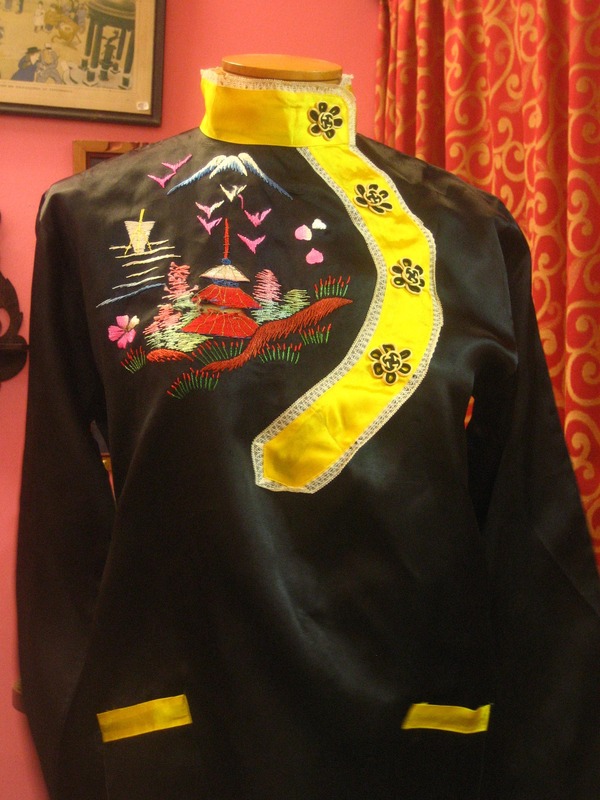 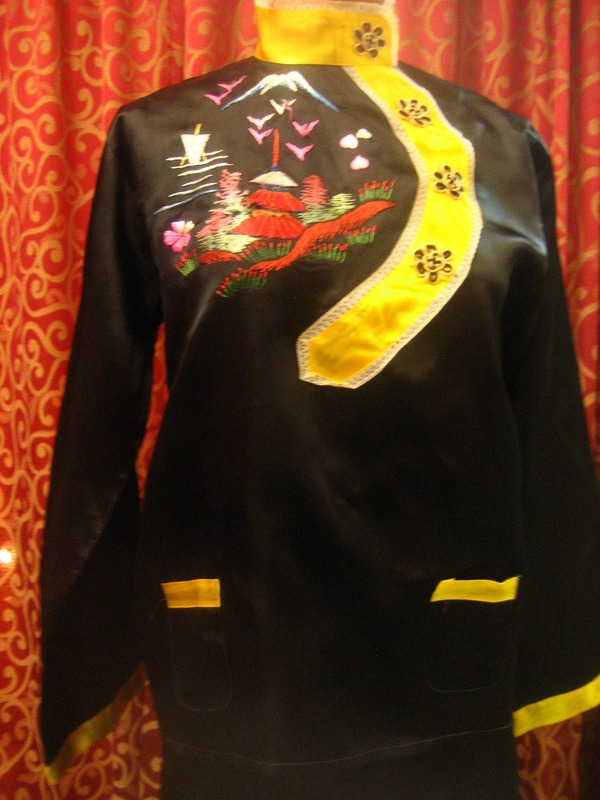 Pajama top is of the same black satin as the robe, with yellow collar appliquéd with black flowers. 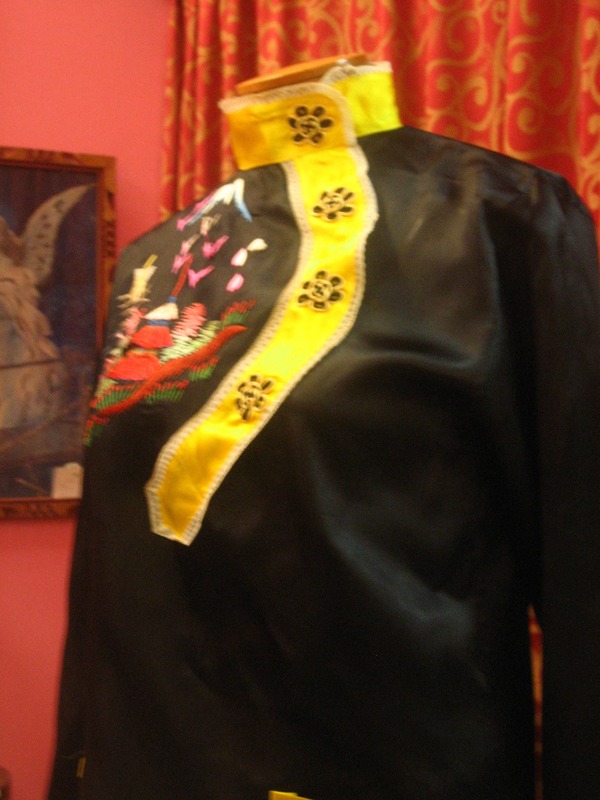 At bodice, right, is an embroidered garden motif with pink, green, and white flowers. 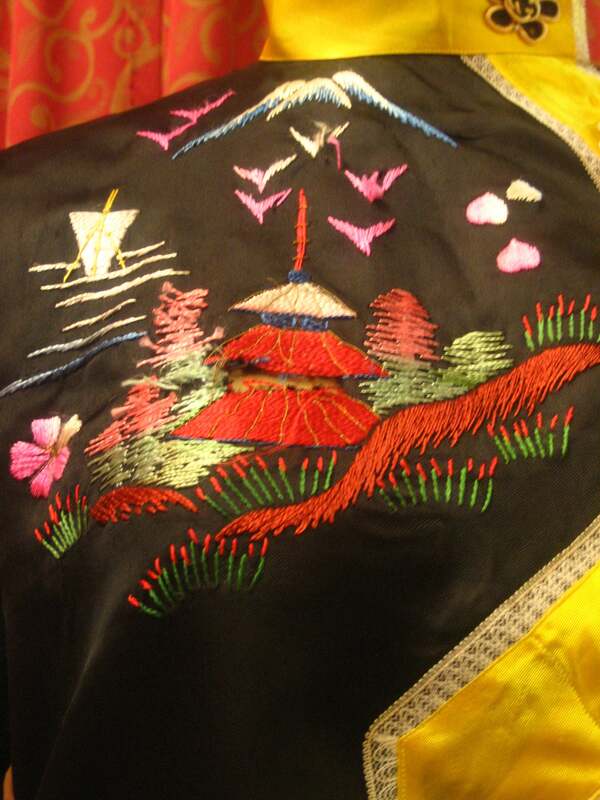 Blue and white birds are in flight above garden. 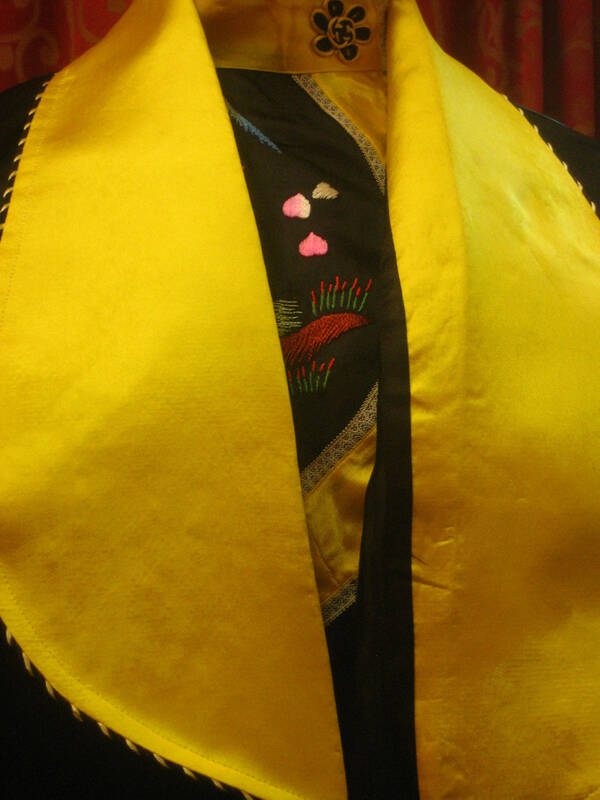 Top also has yellow satin cuffs, and pocket tops. 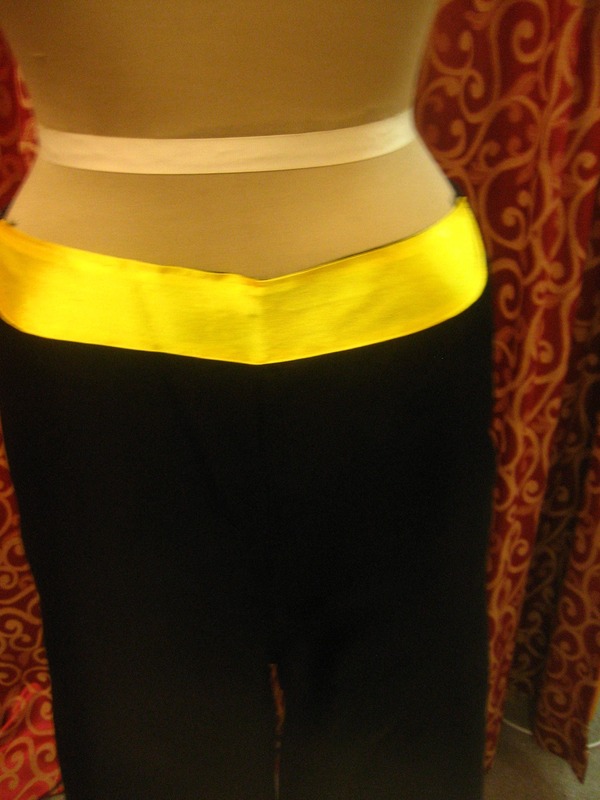 Pant are wide legged, same black satin, with yellow satin waist band and pant cuffs. 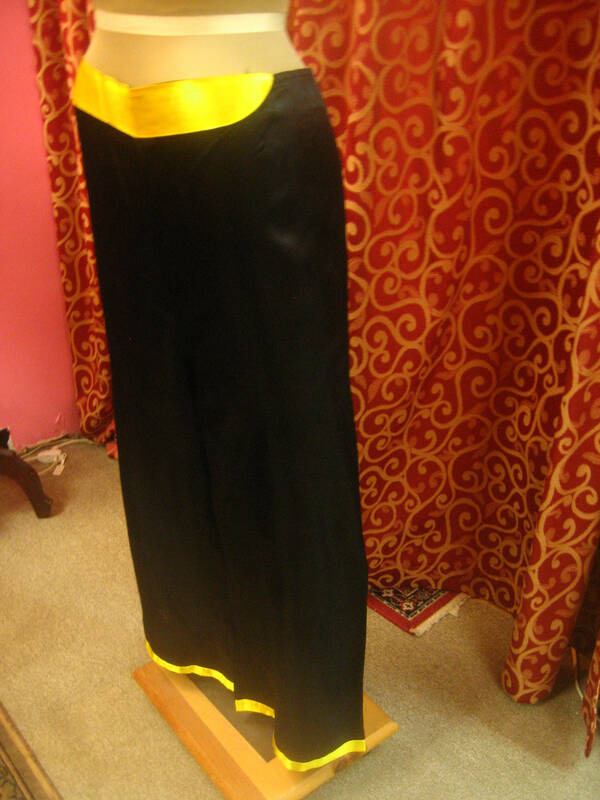 leg with at bottom 11"